Doesn't sound as fun as slapping skaven and chaos warriors with a shield and then, with great prejudice, cleaving their heads with an axe in brutal fashion. It doesn't sound as fun, correct. It is though. I wanted to enjoy Titanfall 2 more than I actually did, but I just can't get myself to enjoy shooters. I couldn't help but think "this is good...for a shooter" the entire time. It just felt monotonous after an hour or so. And I didn't find the story interesting at all so there wasn't even that to pull me through it. Yeah, the story isn't red dead 2 or the last of us material. But the level design makes up for its shortcomings and then some. I 100% agree on that point. It's incredible how clear they made it how you are to progress without being in your face. I never struggled to get places. And that time jumping level was phenomenal start to finish. I went through the whole thing only punching and kicking. I bounce around between several games and systems. 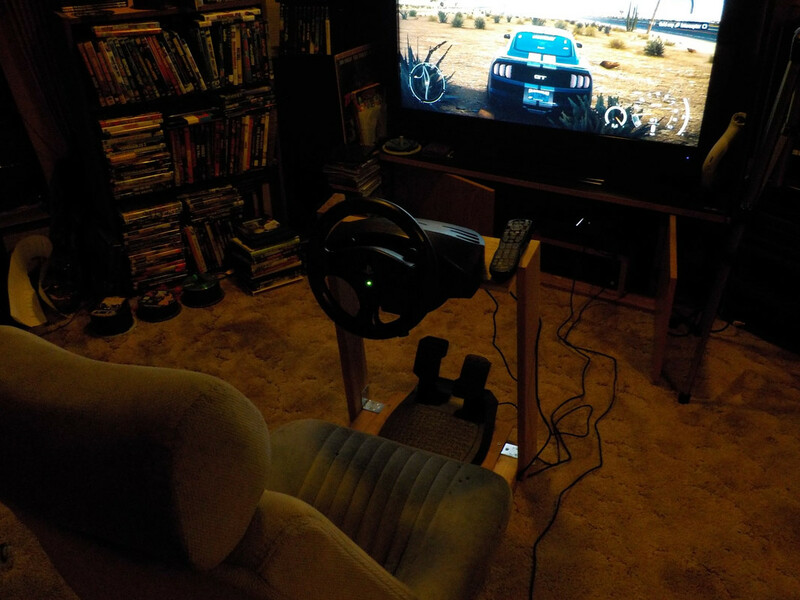 Experimenting with this setup on a few driving games on the PS4. Rather fun with the VR system on Gran Tourismo.